In honor of Kids Clothes Week, I thought I would finally post the tutorial to the "Pink Lemonade Romper" that was so popular during "Romper Week". Begin by ironing the slit openings on the bottom edges of the rompers. Take scissors and slice down the middle of the stitching. Clip into the corners. Flip the placket to the wrong side of the fabric. Press. Topstitch the edge of the keyhole. Stitch the two back pieces of the romper together. Stitch one of the side seams of the romper front the side seam of the back of the romper. Thread your elastic thread onto your bobbin. (Don't know how to do this Check Out This Post.) Shir across the waistline of the romper. Repeat this 4 to 5 times about 1/4" apart. Steam the elastic with the iron. This will shrink the shirring. Should look something like this. Stitch the remaining side seam. 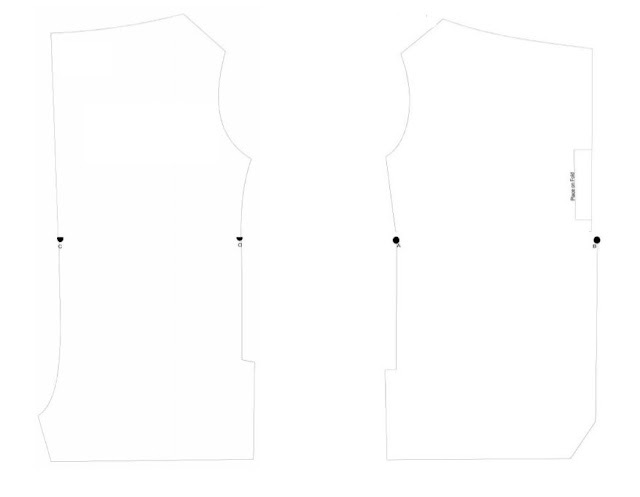 Create a casing around the neckline. Iron top edge down 1/4" and then again 1/2". Stitch. Thread your ribbon through the casing and pull out through to form the keyhole. If you have a big kid, you don't need to make the snap closure. Just stitch the inseam. For the snap closure: Use the front and back facings, stitch them to the romper with right sides together and then turn them to the back side of the romper. Stitch in place. Add snaps. Hem the bottom of the pants. Cut your sleeves. About 10" x 3". Hem on of the long sides. Sew a basting stitch along the opposite side of the sleeve. Pull to gather the sleeves. Stitch sleeves into the romper armscye. You could also not ruffle the sleeve. Or keep it sleeveless by adding some bias tape. Whatever you'd like.